Please take a moment to print out the survey and give us your thoughts. 5 is most important, 1 is least important. 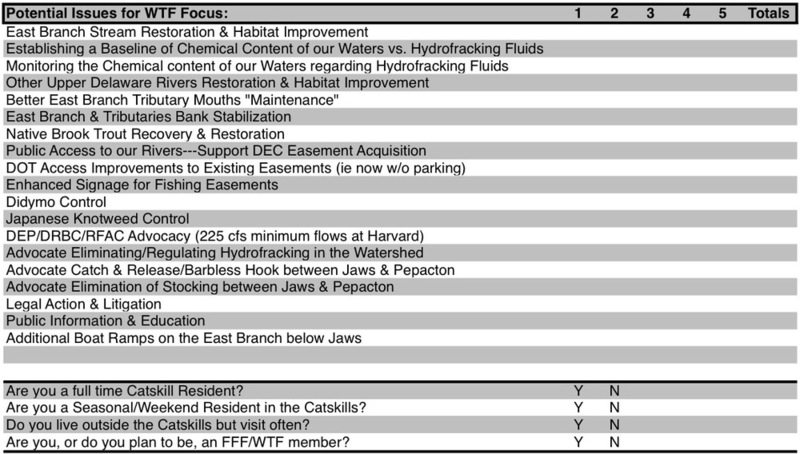 You can mail it to us (5440 Route 30, East Branch, NY 17356), or digitize and email it to us (info@wildtroutflyrodders.org). Either way, we'ld love to hear from you! The feedback we receive will help inform WTF to focus on future projection alternatives, so our energies and funds can be used more efficiently and effectively.